Buying a new vehicle can be impractical and unaccommodating for the average driver’s budget. Buying a pre-owned vehicle is a great way to buy a contemporary vehicle without the stress of paying full price for a new model. If you’re trying to find a reliable dealership with used Subaru vehicles in Calgary, AB, Barlow Motors is the answer. Subaru is one of the most trusted brands in the automotive world, and for good reason. Numerous Subaru vehicles have received awards from trusted organizations and experts because of their quality. With a commitment to making vehicles that are reliable, comfortable and safe, Subaru makes vehicles that people can drive with confidence and pride. 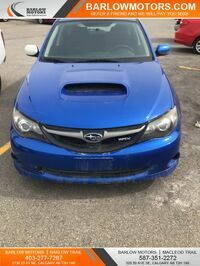 Where Can I Find a Used Subaru Near Me? No matter what you’re looking for in your next vehicle, Subaru provides sedan lovers with plenty of models to choose from, including the 2019 Impreza, 2019 Legacy, 2019 WRX and 2019 BRZ. The Impreza is also offered as a hatchback. Drivers looking for something more spacious might be interested in Subaru’s SUV offerings: The 2019 Forester, 2019 Outback, 2019 Ascent and 2019 Crosstrek. Barlow Motors’ online inventory has an extensive lineup of top-quality vehicles, including various Subaru models. Vehicle availability is always shifting in our inventory, but drivers can keep up to date with our inventory right here on our website or by calling us at one of our two locations: (587) 351-2272 for our Macleod Trial location and (403) 277-7287 for our Barlow Trail location. Barlow Motors has been serving the Calgary community for nearly a decade. In addition to buying pre-owned vehicles, Barlow Motors also specializes in automotive maintenance and other services. We offer in-house financing for drivers looking to improve or rebuild their credit, too. No matter what questions or concerns you have, Barlow Motors’ team of vehicle experts is always available to help.